Well the results of April’s poll aren’t even close. UrbanCincy readers clearly favor Christian Moerlein which claimed 62% (146 total) of the votes. Mt. Carmel took second place with 17% (41 total) with Sam Adams, Hudy Delight, and ‘Nati Light rounding out the list. I voted for Christian Moerlein but this certainly pained me because I absolutely love Mt. Carmel. 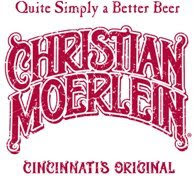 The connections with Over-the-Rhine are what eventually put Christian Moerlein over the top for me.